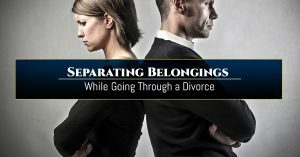 Separation is painful, but it doesn’t have to be messy. When you work with the team at O’Brien and Wood Law, you can count on finding a selection of tips that will improve the quality of case that you’re about to deal with while also diving into the overwhelming aspects of divorce like how to minimize your depression, communicate with your ex-spouse and more. If you’re looking for some guidance through this tough time, we hope that you can find it in these blog posts.